I absolutely love mashed veg when it’s done right. And that’s the key thing here – when it’s done right. If you don’t like mashed veg, whether it’s garlic mashed cauliflower or something completely different, there’s a very good chance you haven’t had the good stuff before. Amazingly, mashed cauliflower is incredibly easy to get wrong. An overcook here, a slip of the wrong herb there, and you’ve suddenly got a pale, watery, flavourless mess on your hands. But that’s not going to happen to you. Oh no. 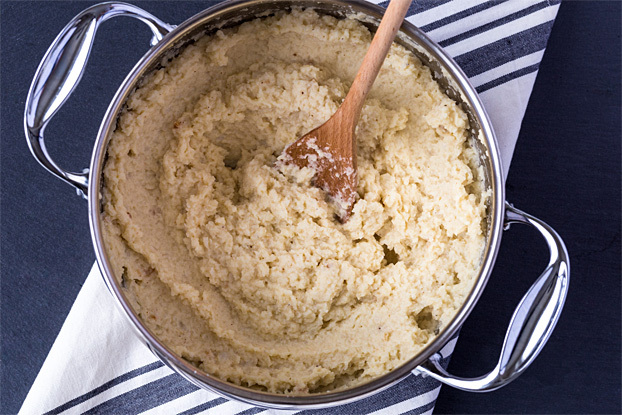 Follow a few simple steps and you’ll end up with the greatest cauliflower mash the world has ever seen. It’s not rocket science, but it is damn tasty. 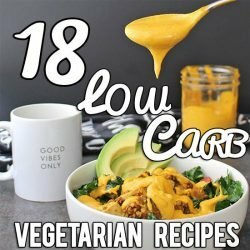 Naturally, garlic mashed cauliflower is vegetarian, and if you wish to make it vegan, just swap out the butter in the recipe below for olive oil. Absolutely. This really is one nutritious son of a brassica. Cruciferous vegetables in general are awesome sources of all types of nutrients, and are strongly linked with reducing chances of various forms of cancer, cardiovascular disease and digestive tract problems. 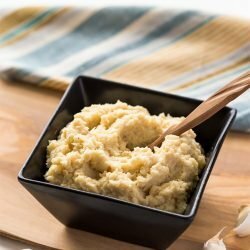 If you’re watching your figure, then cauliflower mash is an excellent alternative to mashed potatoes. 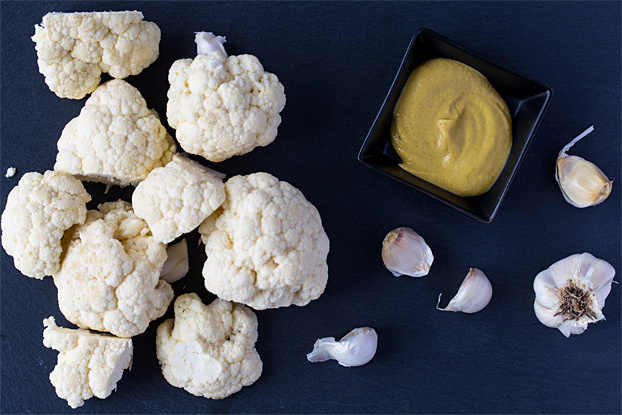 Weighing in at less than ¼ of the calories, changing your ‘taters for cauliflower will give you a little more wiggle room if you are keeping an eye on your calorie intake. Cauliflowers themselves are also excellent sources of vitamin C, which brings a host of health benefits – not least brain health and collagen production (critical for our bones and skin). Vitamin C has another added benefit too – it helps us to absorb iron more easily. Iron, particularly from plants, is quite difficult for the body to absorb, so we need to give ourselves the best possible chance to do so. 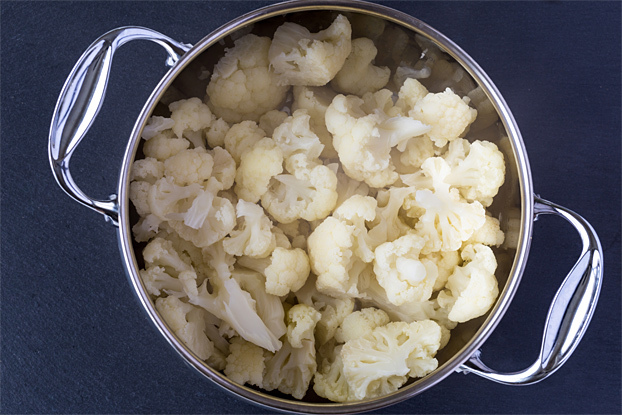 By eating iron-rich foods at the same time as cauliflower your body can utilise it more easily. 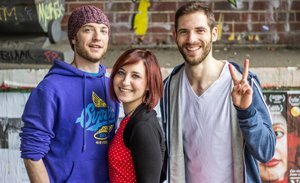 Some good vegetarian examples would be beans and legumes, nuts and seeds, soy, tempeh, spinach, kale, potatoes and mushrooms. Cauliflower itself also provides a small amount of iron – a double bonus. 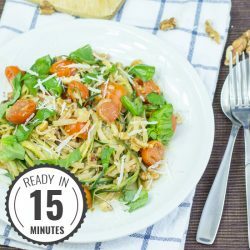 If eating more healthily in a vegetarian manner is important to you but you’re not quite sure where to start, do make sure you check out the 30 Day Veggie Challenge to give yourself the best chance at succeeding. 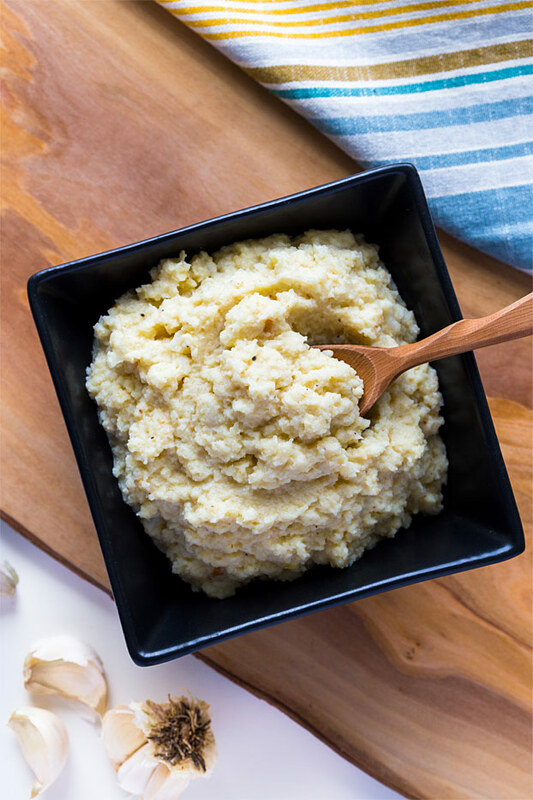 Incredibly tasty yet still low carb, this spin on the classic is the best mashed cauliflower we’ve ever tasted. It’s easy to make vegan too. Cut the cauliflower into roughly equal chunks. Steam for 8-10 mins (it’s finished when you can easily pierce with a knife). 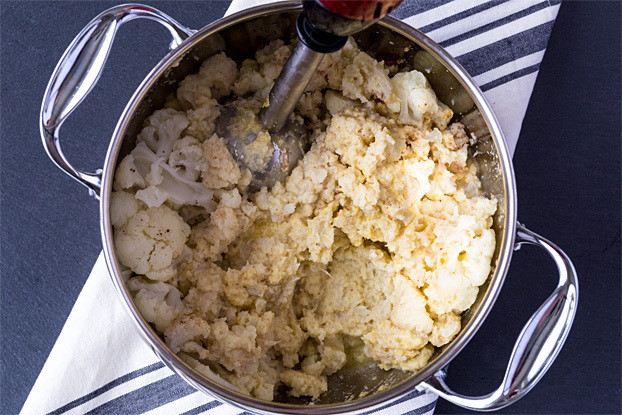 You can boil the cauliflower if you don’t have a steamer, too. It’ll take a few minutes longer. Test with a knife as before. While it’s steaming (or boiling) , chop the garlic and put half the butter in a frying pan along with the garlic and fry for 3-4 mins. Then turn the heat off but let the pan sit there. 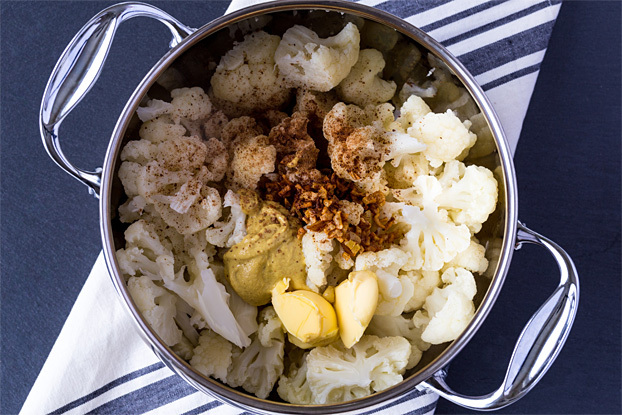 When the cauliflower is ready put it into a suitable bowl and add the garlic and butter infusion, the rest of the butter, the nutmeg, the mustard and the salt. 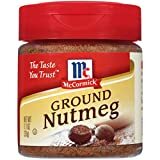 Give it a quick blend with a hand blender. Done! 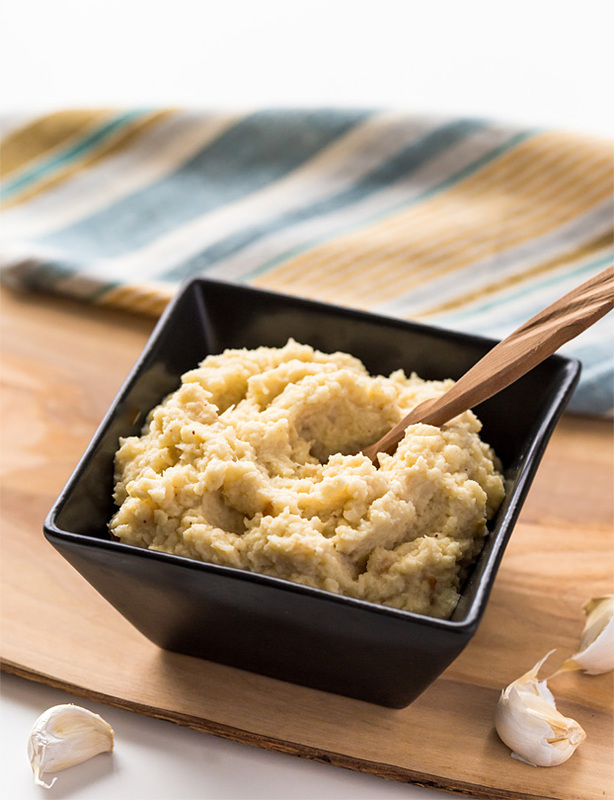 If you still fancy some mashed potato, we’ve got a lovely vegan recipe over here. For more holiday or Christmas recipes, check out these winners!